Gift a Dream Holiday with MakeMyTrip Gift Voucher With MakeMyTrip providing high quality services to Indians, the travel industry in the country has at last come of age. It has single-handedly revolutionized how you purchase the various services related to travel and tourism. Planning a dream holiday is a tall task under any circumstance and especially on your own. Now you can leave it to the experts so that they take care of all the nuances related to your trip. 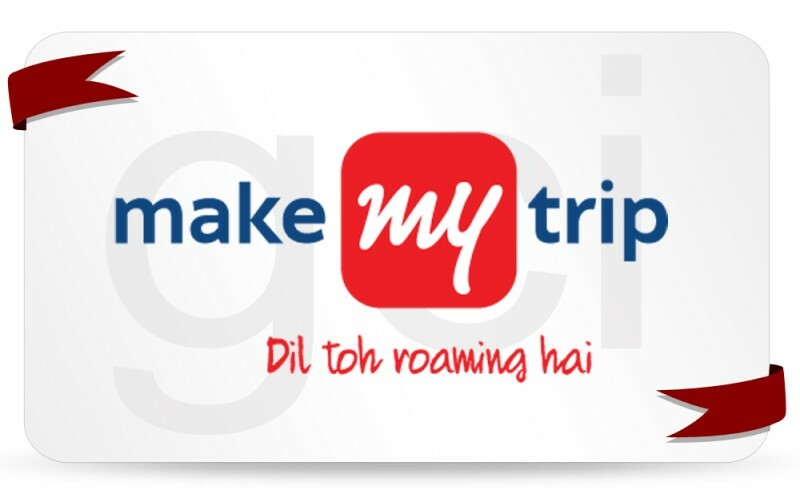 MakeMyTrip Gift Voucher helps you to access the various services from this number one Indian Travel Company either on the online medium or through their fifty-four stores spread across the country. Just communicate what you want and your dream vacation plan is ready in record time. Everybody needs a break from regular routine at one time or another. Less than stellar travel plans add to your worries and ultimately become a complete waste of time and money. Why go for spurious, half formed or hastily organized plans when there is a fantastic way out. Help somebody you know ensure a holiday trip, which is both fulfilling and enjoyable with MakeMyTrip Gift Voucher. 1. Validity- 1 year from the date of issue. 2. Vouchers will be valid on all lines of business- Flights, Hotels and Holidays- International and Domestic. 3. The voucher is valid for purchases made via a. MakeMyTrip Call Centers- 1800-11-8747 ? From MTNL/BSNL phones 1800-102-8747 ? From other major operators b. MakeMyTrip Branches- as listed on the voucher c. MakeMyTrip website 4. Holiday booking can be made offline only. Flights and hotels can be booked online and offline both 5. 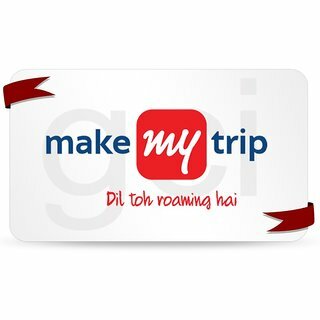 These vouchers cannot be clubbed with any other offer currently live on MakeMyTrip.com including cash backs, discounts etc on a particular credit/debit card. 6. Voucher once used can?t be reused. 7. Products and services are subject to availability. 8. The voucher cannot be exchanged for cash. 9. Physical copy of this voucher has to be presented at the time of booking the product if bookings. 10. MakeMyTrip India Pvt. Ltd. is the final authority on the interpretation of these rules 11. The voucher is not valid for partial redemption 12. The voucher is not refundable and has to be redeemed within its validity period and no extension of validity is allowed. 13. In case of cancellation made using this voucher, customer will not get any refund Shipping Terms: 1. This voucher will be sent through a courier to the Shipping address mentioned by you. 2. The order is usually shipped within 72 hrs from the time we receive your payment. 3. The Gift Vouchers are wrapped in Giftcardindia's branded gift envelops. 4. Estimated time of delivery for all serviceable locations is 7 working days. For any further clarifications, Please call 022-61145454 (Monday - Friday between 10.00 AM - 6.00 PM) or email on : cs@giftcardsindia.in Note - Gift card will take upto 48 hours to reach to the customer.